Leisure boats are generally characterised by drive systems that are specially optimized with respect to comfort and noise. The drive engines used for such applications are those that typically have a high level of power density and low weight. In conjunction with this lightweight construction design, there are stringent requirements specified for optimal response to torsional vibrations and the misalignment capacity of flexible couplings. Vulkan Couplings offers the leading product portfolio for these applications that consists of elastic engine mounts, highly flexible couplings between the engine and gearbox, noise- and vibration-reducing couplings in the propeller shaft. The focus of the product presentation at the Genoa Boat Show 2013 will be on complete solutions for yacht drives. The specialist for couplings will be exhibiting the tail shaft coupling Propflex T with thrust bearing in combination with the elastic mounts T90 and AVR 100 for an integrated comfort-optimising solution. The Propflex has been developed especially for leisure boats with the aim of meeting the demand for maximum insulation against noise and vibrations. It is installed between the gearbox and the drive shaft, it absorbs the disturbing torsional vibrations, insulates noise and compensates the axial, radial and angular misalignments; the latter protects the shaft bearing and gearbox and thus contributes towards reducing the operational and maintenance costs. The propeller thrust is transmitted directly to the ship's body via a special thrust bearing that is used for this purpose. In this manner, there are no propeller forces acting on the engine and it can be mounted on soft elastic mounts. The pod drive is in particular intended for twin-engine yachts measuring up to 75 feet in length and for configurations with three or four engines in yachts of up to 120 feet in length, in which each pod drive is driven by a diesel engine with up to 1,200 horsepower capacity. 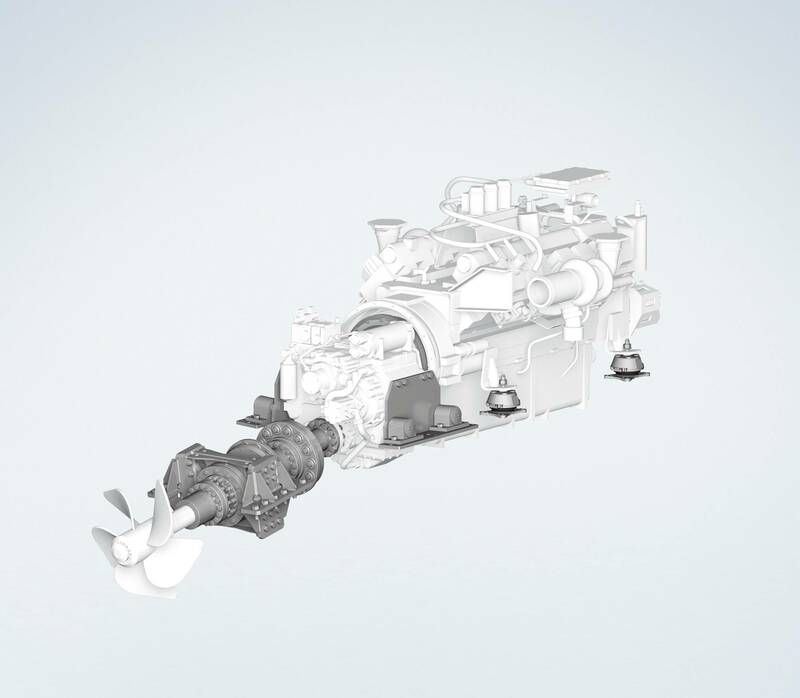 In general, the diesel engine is connected with the actual pod drive via a flexible coupling in connection with a cardan shaft or another misalignment coupling. Vulkan Couplings will be showcasing highly flexible couplings for this modern drive system at the Genoa Boat Show. The highly flexible Vulkardan E and Vulastik L couplings shall be on display in conjunction with the Vulkan Integral Shaft Support and other customised solutions. 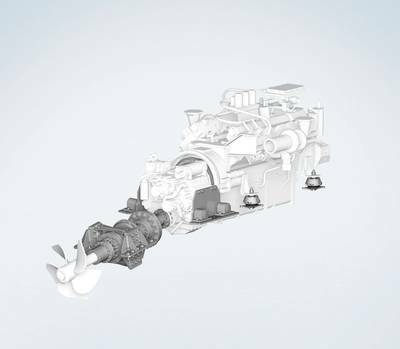 In addition, the flexible bearings of the T Series deliver a reduction in engine vibrations and their transfer to the hull of the yacht. Vulkan Couplings will be represented in Genoa by Vulkan Italia, its Vulkan subsidiary. Anyone interested in the above described products and engineering services like comprehensive product selection advice, torsional vibration calculation, 6-DOF simulation is cordially invited to stall M 135 in the hall of the engine manufacturers to learn about the several benefits that the products of Vulkan Couplings have to offer.